The 686 Onyx Pro Field hunting shotgun has all the functional features of our premium over-unders at a particularly attractive price. The premium, oil-finished walnut stock and fore end complement the gloss-finished blued receiver with gold P. Beretta engraving, not found on other 686 Silver Pigeon models. At its heart, it has the best-in-class 686 action, which is compact and low-profile while being extremely strong. Besides 12 and 20 gauge, this shotgun is also available with beautifully scaled-down actions for 28 gauge for a true premium-grade experience. Whether you take it to an upland hunt or to the clay range, the 686 Onyx Pro gives you the flawless performance and the classic looks of a Beretta. The 686 Onyx Pro Field is built on the legendary 686 action, a long-standing favorite among hunters and competitive shooters. It features two conical locking lugs at mid-action, right between the barrels, giving it great locking strength and durability while keeping the action’s profile considerably lower. The advantage is that the eye of the shooter is a lot closer to the plane of his supporting hand: considerably better swing and hand-eye coordination. The 12- or 20-gauge Silver Pigeon has impressed countless hunters for its efficient dimensions and fast handling. But if you see and bring to your shoulder a 686 Onyx Pro in 28 gauge, you will be doubly impressed by the premium feel of the petite action. These are scaled down to fit the smaller gauges without any extra weight or bulkiness--something that you normally find in shotguns prices several times as much as this. While not as elaborately decorated as our premium shotguns, the 686 Onyx Pro has all the elegance that you can expect from a Beretta. The beautiful oil-finished stock sports a beautiful and crisp checkering pattern, and the Schnabel fore-end adds to the classic flavor of this over-under. The glossy blued receiver is adorned with P. Beretta gold engraving blends perfectly with the stock and contributes to the gun’s graceful lines. 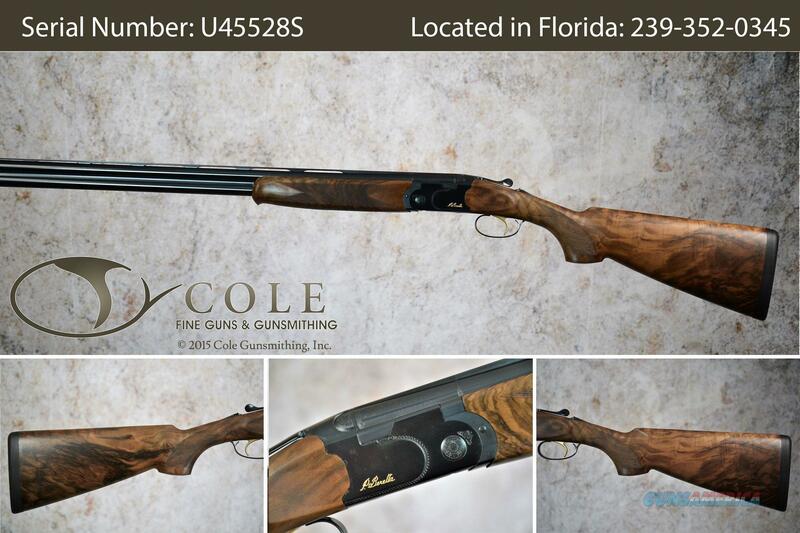 This is a shotgun that has all the elements of a treasured heirloom. Federal firearms laws do not allow us to ship firearms directly to you. Please contact us for ordering and shipping information. Drop at heel: 3 3/8"